American Aviation Corporation was an American aircraft manufacturer based in Cleveland, Ohio in the 1960s, which produced light single-engine aircraft. 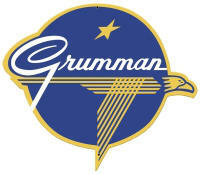 In 1972 it became the Grumman American Aviation Corporation. 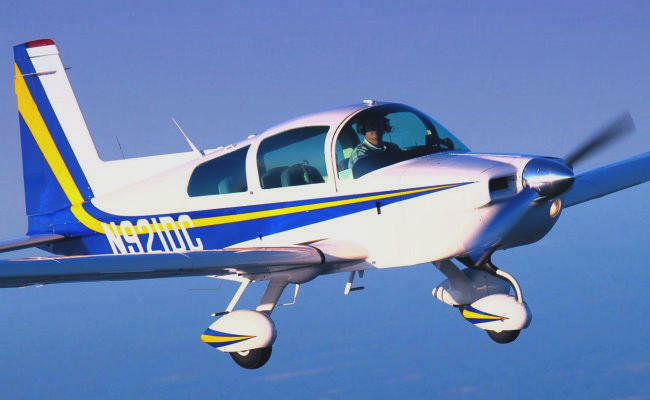 The Grumman American aircraft series is a family of all-metal, four-seat, light aircraft used for touring and training. Based in Greenville, Mississippi between the late 1980s and 1993, American General Aircraft Corporation (AGAC) was established to place the Gulfstream American AA-5B Tiger back in production. AERONUVO, appraisers and members of the National Aircraft Appraisers Association (NAAA) has direct access to important data for many American Aviation, Grumman American and American General aircraft models. This critical repositiory of information, assists appraisers in the creation of aircraft appraisal reports. The following aircraft can receive an in person appraisal: American Aviation AA-1 Yankee, American Aviation AA-1A Trainer, Grumman American AA-1B Trainer, Grumman American AA-1C Lynx, Grumman American AA-5 Traveler, Gulfstream American AA-5A Cheetah, Gulfstream American AA-5B Tiger, American General AG-5B Tiger, Gulfstream American GA-7 Cougar. 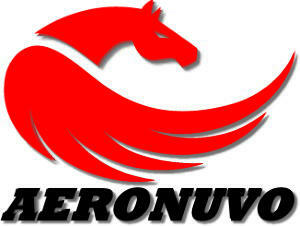 AERONUVO can deliver a professional opinion and appraisal report of the present fair market value (FMV) price on an aircraft, the value on an aircraft to be renovated or modified and the value of an aircraft as a prudent safeguard against excessive tax assessments, capital gains and other taxes. Our Premier and Certified Aircraft Appraisal Services include Aeronca, Aero Commander, American Champion (ACA), American General, Aviat Husky and Pitts, Beechcraft (Beech), Bellanca, Citabria, Cessna, Cirrus, CubCrafters (Cub Crafters), DAHER SOCATA, Diamond, Ercoupe, Glasair, Great Lakes, Grumman American, Lancair, Luscombe, Maule, Mooney, Piper, Rockwell Commander, Stinson and More. AERONUVO provides its customers with our unique and customized aircraft appraisal services at many airports in some instances with no added cost in the states of Virginia (VA), West Virginia (WV), Pennsylvania (PA), Maryland (MD), Delaware (DE), North Carolina (NC) and New Jersey (NJ). A pilot is required to conduct a thorough preflight inspection before every flight to ensure that the aircraft is safe for flight. Pilots should review the maintenance status of the aircraft as a part of the preflight inspection. We are open for business 7 days a week, 7:00 AM to 9:00 PM Eastern Standard Time. As always, our consultations and advice are free with no obligation. It’s all part of our superior aircraft appraisal services. American Aviation Corporation was an American aircraft manufacturer based in Cleveland, Ohio in the 1960s, which produced light single-engine aircraft. In 1972 it became the Grumman American Aviation Corporation. The Grumman American aircraft series is a family of all-metal, four-seat, light aircraft used for touring and training. Based in Greenville, Mississippi between the late 1980s and 1993, American General Aircraft Corporation (AGAC) was established to place the Gulfstream American AA-5B Tiger back in production. AERONUVO, appraisers and members of the National Aircraft Appraisers Association (NAAA) has direct access to important data for many American Aviation, Grumman American and American General aircraft models. This critical repositiory of information, assists appraisers in the creation of aircraft appraisal reports. The following aircraft can receive an in person appraisal: American Aviation AA-1 Yankee, American Aviation AA-1A Trainer, Grumman American AA-1B Trainer, Grumman American AA- 1C Lynx, Grumman American AA-5 Traveler, Gulfstream American AA-5A Cheetah, Gulfstream American AA-5B Tiger, American General AG-5B Tiger, Gulfstream American GA-7 Cougar. AERONUVO can deliver a professional opinion and appraisal report of the present fair market value (FMV) price on an aircraft, the value on an aircraft to be renovated or modified and the value of an aircraft as a prudent safeguard against excessive tax assessments, capital gains and other taxes. Our Premier and Certified Aircraft Appraisal Services include Aeronca, Aero Commander, American Champion (ACA), American General, Aviat Husky and Pitts, Beechcraft (Beech), Bellanca, Citabria, Cessna, Cirrus, CubCrafters (Cub Crafters), DAHER SOCATA, Diamond, Ercoupe, Glasair, Great Lakes, Grumman American, Lancair, Luscombe, Maule, Mooney, Piper, Rockwell Commander, Stinson and More. AERONUVO provides its customers with our unique and customized aircraft appraisal services at many airports in some instances with no added cost in the states of Virginia (VA), West Virginia (WV), Pennsylvania (PA), Maryland (MD), Delaware (DE), North Carolina (NC) and New Jersey (NJ).